There is a particular reverence among car enthusiasts that is reserved for Porsche vehicles. 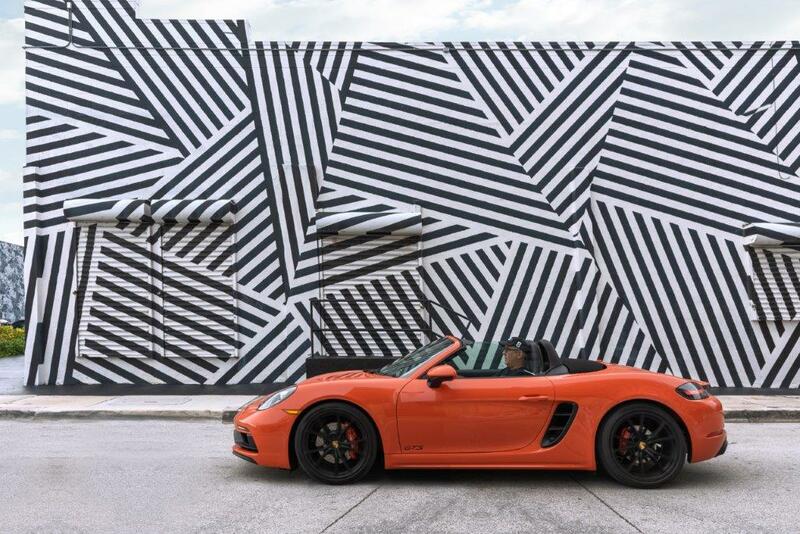 Admittedly, not an avid car enthusiast myself, it was not immediately evident how significant it was that Porsche Latin America extended an invitation to Loop to test drive some of their vehicles in Miami during the Miami Open in March. It became clear to me, however, when the faces of my co-workers contorted in a mixture of glee and envy when I told them about the assignment - even here in the Caribbean, the Porsche name is a big deal, and you ought to utter it with care. For many, the name Porsche evokes the image of a sleek, compact sports car gliding across the asphalt, the unmistakable purr of the engine rising into a crescendo as the driver accelerates past some obstruction to its excellence. For those not privileged enough to own one, Porsche remains an elusive aspiration. But the story the brand is telling through its business and technological choices is still one that many can relate to and learn from. First on the press trip itinerary was lunch with the President and CEO of Porsche Latin America, George Wills, a man with over 35 years’ experience in the automotive industry, 15 of which he spent as a part of the Porsche family. Porsche itself has a rich history steeped in automotive ingenuity and innovation. Wills explained at the core of the Porsche philosophy is engineering. Engineering vehicles that can not only perform on the race track, but in real life as well. Derek Bell, who won Le Mans 24-hours five times in the ’70s and ’80s claimed that Porsche was testing PDK - a dual-clutch transmission introduced in the 2000s - in the 1980s. That focus on the customer experience with the vehicles would explain the company’s decision to introduce its Sports Utility Vehicle (SUV) models in the early 2000s - of this, Wills said the company was guided by the needs of consumers. 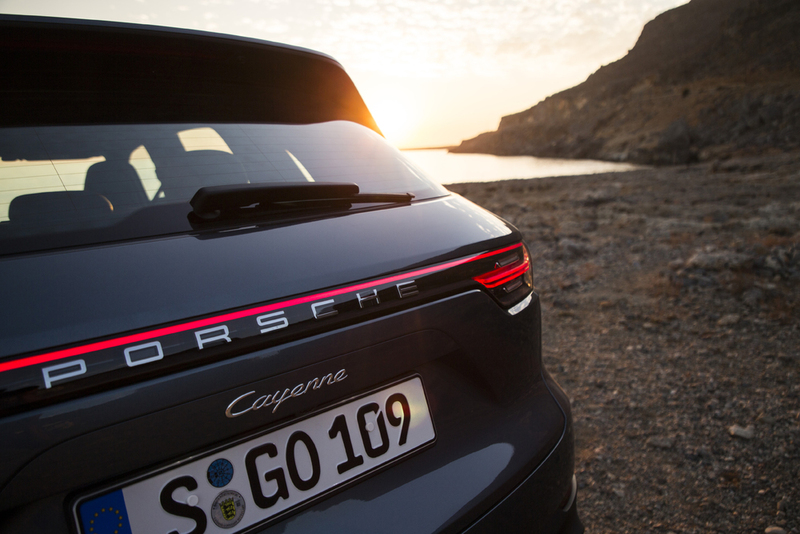 In fact, the company’s top-selling model in Latin America in 2018 was an SUV - the Porsche Cayenne, which sold over 1100 units across the region. 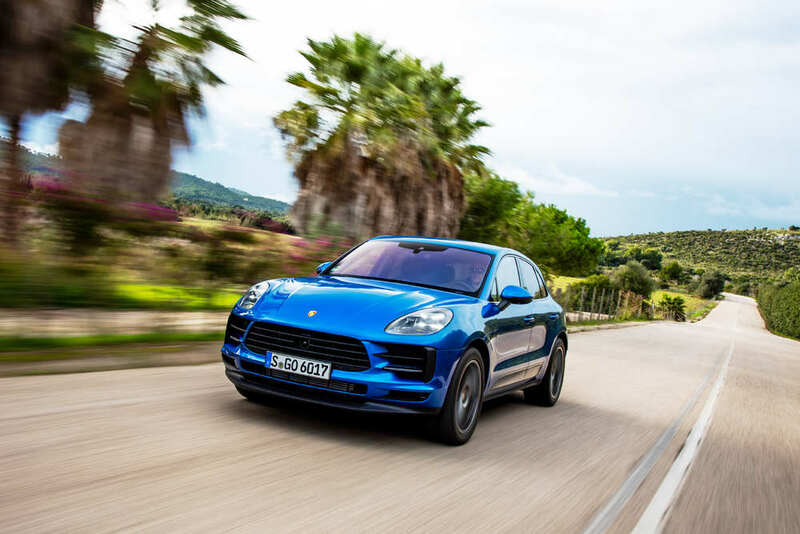 The second highest-selling model in Latin America was the Macan, another Porsche SUV, which sold over 23,000 units in the United States in 2018, a record-breaking year for the car company in that market. The introduction of the Cayenne in 2002 raised more than a few eyebrows as Porsche purists had a hard time welcoming the considerably less sporty-looking SUV into their fold. But, according to Wills, driving is believing, and he recounted when he took the newly introduced Cayenne Turbo, sometime around 2003, to a Porsche Club event in the Middle East. He said the Club president, a Porsche purist, was ‘struggling’ with the Cayenne SUV concept. There was a perception that the Cayenne didn’t belong on the track, and this particular Club was very track oriented. That perception changed once Wills took the SUV on to the track and ‘raced’ the vehicle, passing other Porsche sports cars on the track, handling corners, unlike any other SUV. Indeed, the appetite for the Cayenne and Macan models has expanded Porsche’s market to include not only a younger, more family-oriented demographic, but a female one as well. For a brand whose customer base is predominantly older and traditionally male, the market for the Cayenne in Latin America is now split 80 percent male and 20 percent female. In yet another major shift in the company’s core offering, later this year Porsche will reveal the new Taycan, the company’s first fully electric vehicle. The company has been open about its intention to shift to electromobility before all other German auto manufacturers. By 2025, the company expects that one out of every two Porsche vehicles sold will have an electric drive unit. Commenting on the feasibility of electric vehicles in Latin America and the Caribbean, Wills pointed out that in the latter especially, home charging ports may be sufficient to cater to electric vehicles. A fully charged electric vehicle can typically achieve up to 500 kilometres of distance before requiring another charge. In the Caribbean though, as Wills points out, distances travelled on a daily basis are relatively short, so most customers will be able to defer charging until they get back to their home-charging port. In terms of electric adoption, Latin America and the Caribbean do not have the kind of laws that exist in Europe, mandating a reduction in CO2 emissions by major car companies. Still, the car company is forging ahead with its adoption of the technology in all its markets. A key part of this integration will be through Porsche’s participation in Formula E - a class of motorsport that features only electric-powered vehicles. In the Latin American market, electric vehicles have been racing in the Mexico City ePrix since 2016. As Porsche enters this class, its expected to set the standard not only for its own vehicles, but for the industry as a whole, as it has in other classes of vehicles. With all the formalities out of the way, it was time to get to the real meat of the matter in Miami. 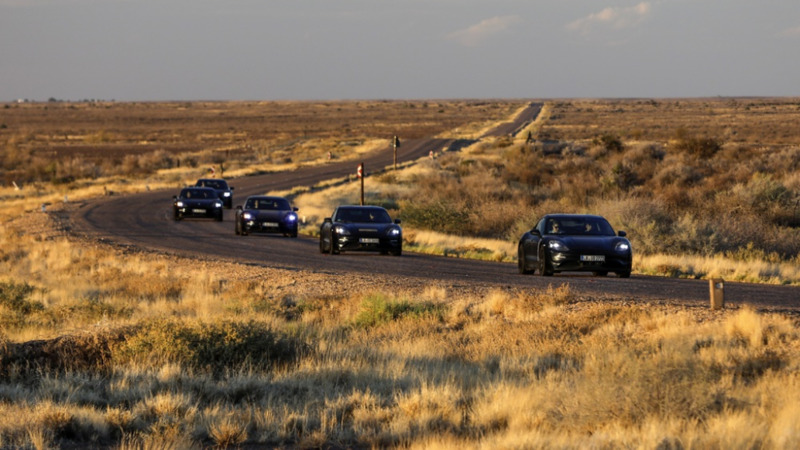 As part of the visit, journalists were invited to test drive not one, but four of the Porsche models - the 718 Boxster GTS, the Panamera Turbo Gran Turismo, the 911 Targa GTS and the Macan GTS. This reporter, never having stepped foot in a Porsche before, was well out of her depth, but eager nonetheless to get behind the wheel of these revered automobiles. When I interviewed Wills, I asked him which of the vehicles he thought I should drive first, considering that I had never driven a Porsche before. His response: the 718 Boxster GTS. In his opinion the 718 would give me the best introduction to the Porsche experience. It turns out he was right - the 718 Boxster was actually my favourite driving experience. My initial reservation was that I might have felt too cramped, too close to the ground or that the vehicle would have been too powerful for my relatively reserved driving style. Needless to say, I was mistaken. For a vehicle that goes from 0 to 100 kilometres per hour in 4.3 seconds, it was an unbelievably smooth ride. The responsive steering made me feel completely in control the entire time, even on the sodden Miami streets. When the 718 was reduced from a flat-6 engine to a 4-cylinder engine in 2017, there were some skeptics. But Porsche has proven that they can maximise speed while remaining efficient. As Wills did point out – Porsche won Le Mans three years in a row with a four cylinder vehicle. The cabin - which more closely resembles a cockpit with all the buttons and gadgets - was just large enough to comfortably accommodate two people and my oversized handbag. Despite the relatively limited space, the interior didn’t feel confined, but rather luxe with its leather and Alcantara - a polyurethane and polyester blend material preferred in motorsports – finishing. If two extra passengers need to be sacrificed for the speed, control and luxury this car afford, it’s an easy choice. If sacrificing passengers is not an option though, Porsche still provides the speed and handling of its sports cars in the SUV range. My other favourite driving experience was actually the Macan, which, as discussed before, does not make me particularly unique in this part of the world. The Macan GTS can go from 0 to 100 kmph in a staggering 5.2 seconds, and boasts a top speed of 265 kmph, not that we can ever verify that legally on the roads of Trinidad and Tobago. 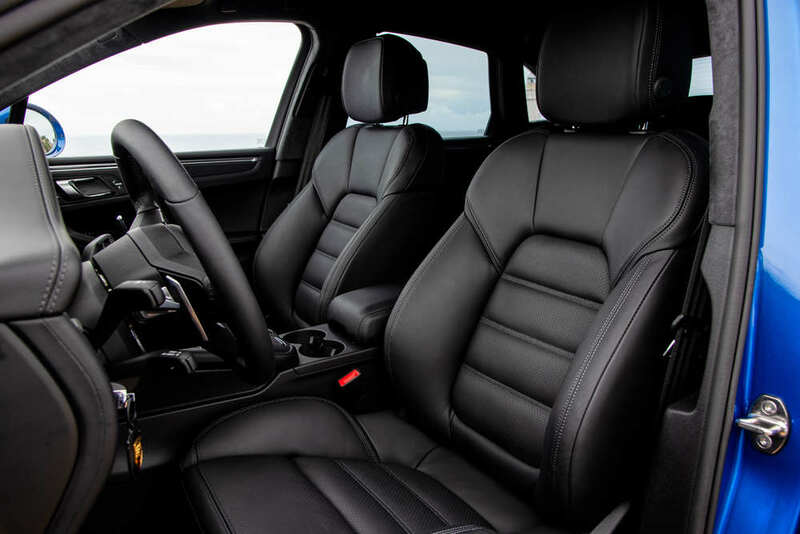 The interior of the Macan is, as one would expect, significantly more spacious compared to its sports car counterparts and therefore ideal for a family. This SUV can accommodate five passengers comfortably and the luggage compartment (that’s the trunk) has a capacity of around 500 litres, which expands to 1500 litres if you fold the back seats down. So if space is what you’re after, the Macan delivers on that and more. While driving, the representative for Porsche Latin America, Carlos Munera, pointed out to me the more subtle details including an ergonomically designed steering wheel for maximum comfort and the racing-style seats. For those Porsche owners who select the memory package, your seat, steering wheel and mirror preferences can be stored in a personalised profile, which, once selected, with automatically adjust to suit you. Porsche is an impressive company in a number of ways – of course, because of the superior vehicles that they produce, but also the philosophy behind the engineering of those vehicles. With the downturn in the economy across the region, the brand has seen a levelling off of its sales numbers, but still considers Latin America and the Caribbean an emerging market with great potential for growth. And it is likely that growth will come. Its focus on the customer paired with a commitment to efficiency – fuel efficiency especially – and performance means that Porsche is well-poised to make up the ground in this unique and promising market. Tell us now, which Porsche is your favourite and which would you love to drive, if given the chance?